Por favor, gostaria de saber se é possível o cliente receber o e-mail no formato excel, de acordo com o relatório que for desenvolvido. If I understand you correctly, you would like to attach an excel file with the submission data. Unfortunately, this is not possible. 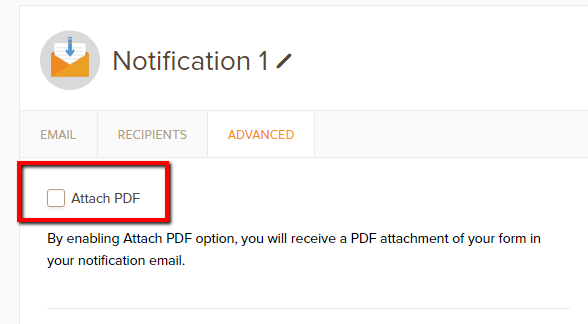 You can only send a PDF attachment. The best you can do would be to create a table in the email body for your users to review easily. Não é isto, preciso que o cliente receba em excel o formulário. I'm sorry but not fully understanding your request. Can you please elaborate a bit more on what you mean with excel format? As you can see the email notification. 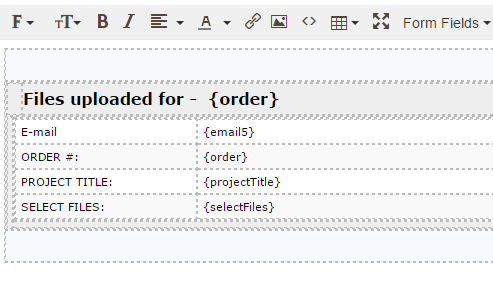 the submission data is already in a table. This can be copied and paste into an excel sheet.